Candidates looking to participate in the admission process of KLEE must keep a note of all the dates so as to not miss any major events as all events play an important role in admission process. KLEE important dates 2019 includes application form availability, admit card release, entrance exam, result declaration, answer key release and counselling dates. As per the supreme court, there is no upper age limit for the programme. Only indian citizens are eligible for the law programme. Candidates who have passed 10+2 form any open university without any basic qualification will not be considered eligible for admission. Applicants who have obtained 10+2 certificate after prosecuting studies in distance or distance method will be eligible for admission. The application form of KLEE 2019 will be released on the last week of June 2019 for five year LLB programme and third week of July 2019 for the three year LLB programme. The application form will be available online. Candidates need to register and fill the academic, personal and contact details on the KLEE 2019 application form. After filling the application form, candidates need to make a payment of application fee either online or offline. After completing all the process of filling the KLEE application form 2019, candidates are advised to take a printout of application form by clicking on ‘Print application’ for future reference. Candidates preparing for KLEE 2019 must be aware about the subject and topics which will comprise the entrance examination. There are basically three major areas from where the questions will arise on the KLEE 2019. Reading comprehension, word usage, Vocabulary, antonyms, synonyms, parajumbles and grammar. The admit card for the entrance examination can be downloaded from the official website of commissioner of entrance examinations, Kerala. For three year LLB programme, hall ticket of KLEE 2019 will be released on the first week of August 2019. Candidates who will apply for five year LLB programme can download the admit card of KLEE 2019 on the third week of July 2019.To download the admit card of KLEE 2019, candidates need to login by entering his or her login credentials. Candidates are advised to check all the details mentioned on the KLEE 2019 admit card. The details mentioned on the admit card of KLEE 2019 should match with the details on the documents. Candidates looking to get admission in the 5 year and 3 year law programme need to appear nad clear the KLEE 2019 to secure a seat for the enrollment in any programme. Candidates will be given any vacant seat based on their merit ranking. The mode of the entrance examination will be offline. Candidates can check the date and venue of KLEE 2019 on the hall ticket of KLEE 2019. The duration of the KLEE 2019 will be two and a half hours. The question paper will have two parts A and B. There will be a total 200 questions comprising of questions from general knowledge, general english and aptitude for legal studies. The Commissioner for entrance examinations, Thiruvananthapuram will release the answer key for five year LLB programme on the last week of July 2019 and answer key for three year LLB programme on the second week of september 2019. Candidates can forward a complaint to the centre for entrance examinations along with the supporting documents and fee of Rs. 100 per question through a demand draft in the favour of commissioner for entrance examinations, Thiruvananthapuram, by post or hand delivery. 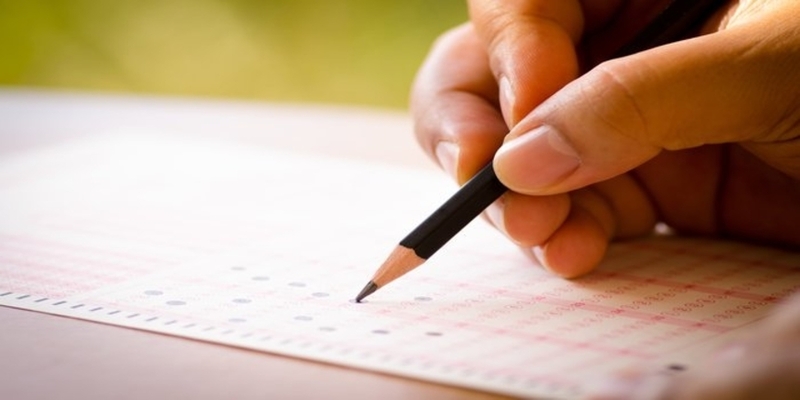 Commissioner of entrance examination, Thiruvananthapuram will declare the result of KLEE 2019 after the commencement of entrance examination on the. The rank list for the admission will be made base on the marks scored in the KLEE 2019. Candidates can check their result online after using their login credentials on the official website of CEE Kerala. The result of KLEE 2019 will include details like name, registration number, roll number, score and rank of a candidate. Candidates shortlisted will have to appear in the counselling of KLEE 2019 where candidates will be allocated a seat finally after the verification of the documents. The merit list of KLEE 2019 depend upon many reasons including reservation, difficulty level of question paper, cut off trends, etc. Question: Where do i need to forward my complaint after related to KLEE answer key 2019 ? Answer: Candidates can forward their complaint to the centre for entrance examinations along with the supporting documents and fee of Rs. 100 per question through a demand draft in the favour of commissioner for entrance examinations, Thiruvananthapuram, by post or hand delivery. If the complaint found is to be genuine, the fee remitted for that question will be refunded. Question: What details will i find on the KLEE 2019 admit card ? Answer: Candidates can download the admit card of KLEE 2019 from the official website of Commissioner for entrance examinations, Thiruvananthapuram online. Candidates will be able to see their name, roll number,exam centre, date and time of examination. Question: I am a general candidate belonging to the Lakshadweep region of country. Will i get any reservation or relaxation on KLEE 2019 ?